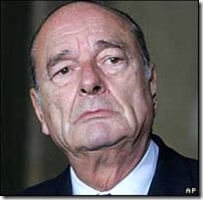 Some sixty leading French jurists (including Prof. Pierre Mayer of the Pantheon Sorbonne) have, controversially, signed an open letter to President Jacques Chirac on the alleged illegitimacy of the European Union’s acitvities in the field of private international law. In a democracy organised on the basis of the principles of the rule of law, a legal provision is legitimate only if emanating from an institution that has the authority to prescribe it. (…) Nevertheless, and despite ever louder objections from a growing number of leading jurists in Europe, the Community Institutions are relentless in taking liberties with this fundamental precept. Now, with the proposal for a Regulation on the law applicable to contractual obligations (Rome I), they seem resolved to ignore this notion definitively from now on. …seems to be their fear that the new Regulation – in contrast to the existing 1980 Convention – will offer too little scope for the application of protective mandatory rules of the forum (cf. art. 7 of the Convention). This, the professors suggest, is an element of the Commission’s grand plan to get rid of the great majority of mandatory rules in contract law generally (for, they argue, if cross-border contracts are so liberated, purely internal contracts cannot stay behind). This aproach “constitutes a grave attack on democracy as it robs national legislatures of all power”. dramatic, even apocalyptic, and therefore totally disproportionate tone…adopted by their colleagues. Comments, especially by our French readers, are most welcome. Many thanks to Jacco Bomhoff for the tip-off. A rough translation of the original post on the Coullises de Bruxelles website can be found here.